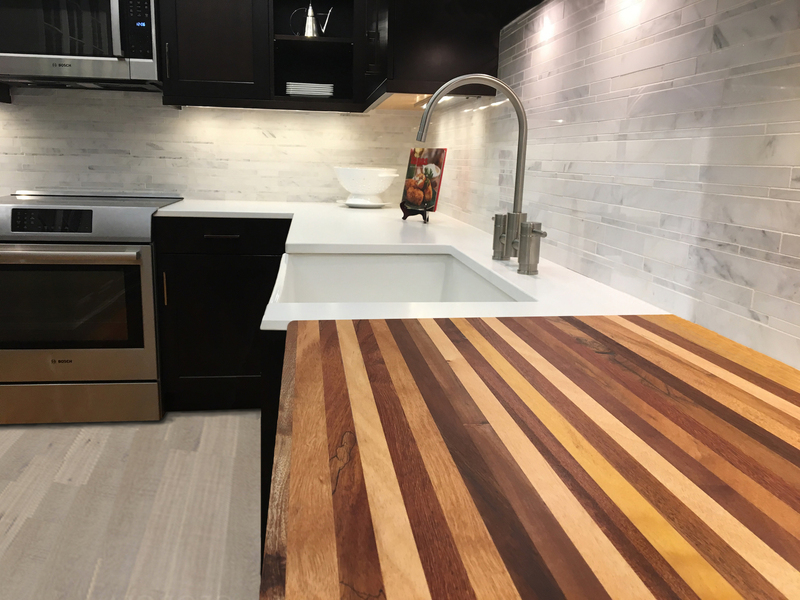 Our butcher block countertops compliment a wide variety of styles, from craftsman to ultra contemporary. The spectrum of neutrals create an unforgettable amount of interest to your space, while harmonizing with any color palette. We use side-grain construction to create a stable material that’s easy to care for–ensuring a product that lasts. Our products get their distinct aesthetic by utilizing dozens of tropical species sourced from the Ecuadorian rainforests, which we sustainably manage. In order to ensure the full diversity of the forest, we cannot harvest trees based on their species, meaning the availability for individual species is constantly in flux. To embrace this unpredictability, we’ve created 6 color mixes. These color mixes provide you with a product that compliments your space and is completely unique. By selling products made from the whole forest, we can guarantee the future of the whole forest.